That original Mazda RX-7 revolutionized our little corner of the world, but you can argue that it was a little primitive for the second half of the 1980s. Carburetors, stick rear axles and recirculating ball steering were seen as vestiges of the ’70s, not the tools for a modern world. 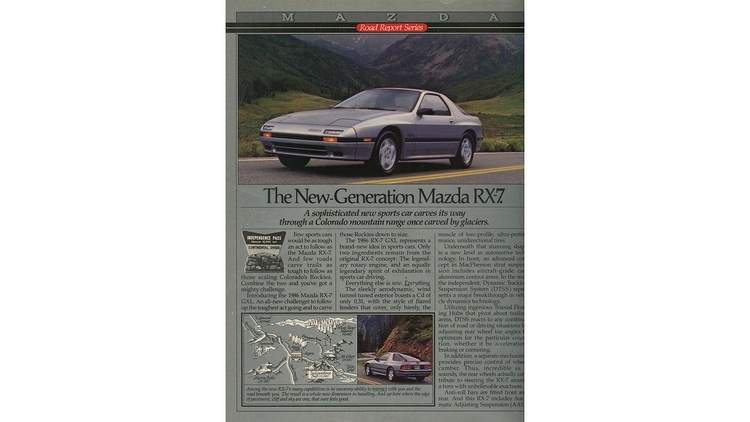 It was time for an all-new RX-7, which Mazda delivered for the 1986 model year. The old solid axle was history, replaced by a thoroughly modern trailing-arm rear suspension. 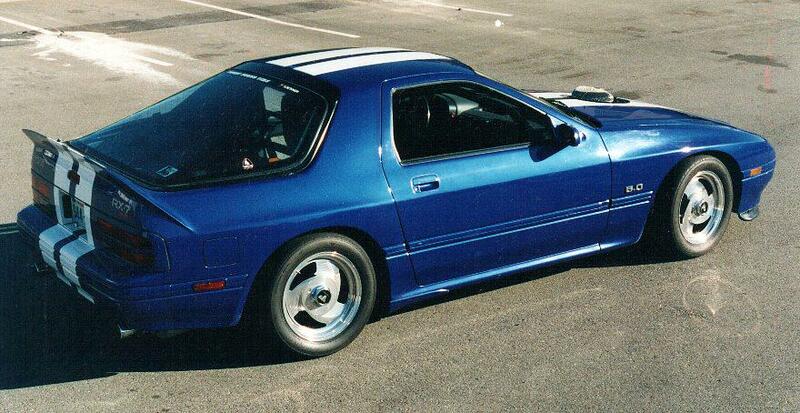 While fuel injection found its way into some first-generation RX-7s, it only came in the rather rare GSL-SE models. Every single second-gen car, on the other hand, received Bosch L-Jetronic injection. 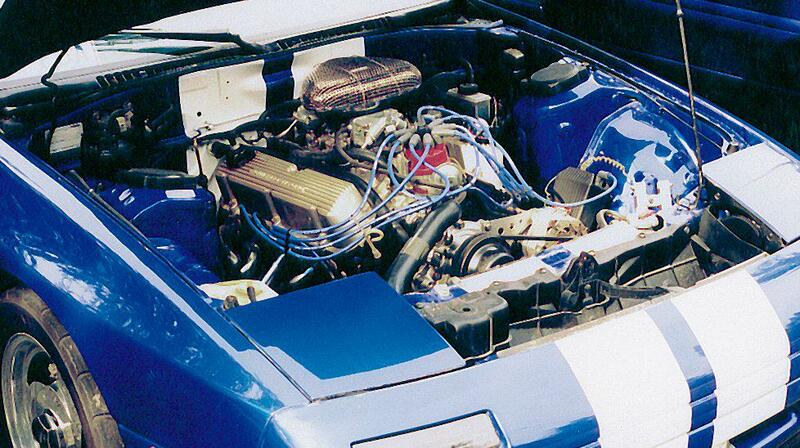 And that injection setup sat upon Mazda’s 1.3-liter 13B rotary engine, not the smaller 12A found in most early RX-7s. More high-tech stuff: four-wheel-disc brakes, a standard five-speed manual transmission and a slippery shape. Maybe that bodywork resembled the Porsche 944’s, but for the time it was totally contemporary, down to the flip-up headlights and giant glass hatch. Okay, perhaps there were some negatives, too. The second-generation car was softer, flabbier and less pure than the original. Here’s our justification: By today’s standards, none of these cars is exactly a rocket ship. If you’re looking to relive the ’80s, go and relive the ’80s, amber instrument lighting and all. The line expanded again for 1988 with the availability of a convertible version and the GTU package–the name reminding the world who was dominating IMSA GTU competition at the time. (Hint: It was Mazda.) The GTU didn’t boast any additional power, but the package added a sportier suspension, limited-slip differential and 15-inch alloys. 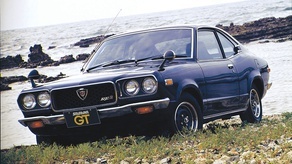 Things got a little tricky for 1989: Mazda started applying the GTU designation to the base model, while the GTUs model got all of the fancy bits found on the Turbo–minus the turbo. Power across the board was also up that year, and a facelift readied the RX-7 for a few more years in the showroom; the car continued through the 1991 model year with minimal changes. According to Hagerty, $10,000 or so buys a nice Turbo car and the others fetch about half that. Looking to relive some simpler times? 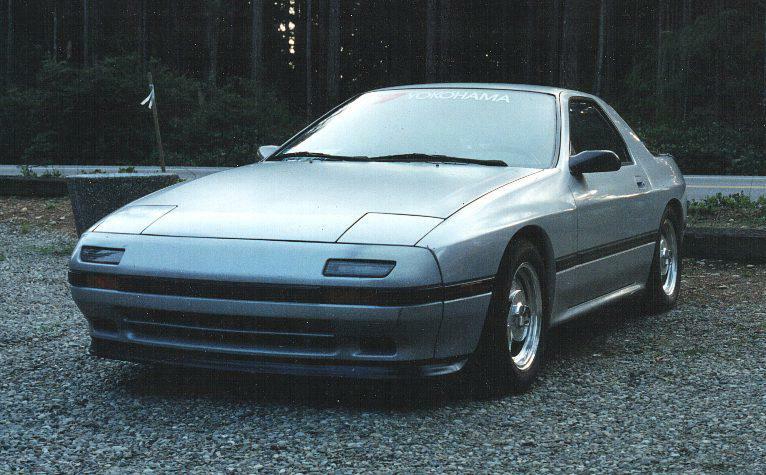 The second-generation RX-7 might scratch that itch on a budget. Jim Mederer, co-founder of legendary Mazda tuning shop Racing Beat, has been working with rotary engines since they were first introduced. 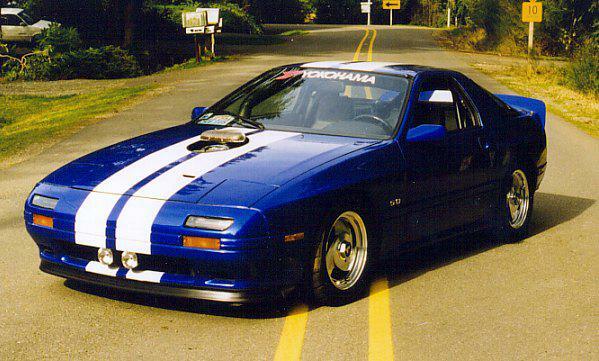 He has some tips for you and your FCchassis Mazda RX-7. The stock paint and interior materials are not very good, so expect to do some maintenance there. The differential is quite strong. Change the fluid, inspect the seals, and forget it. These engines require special attention. After so many years, most cars do not have their original engine. Pay attention to who did the most recent rebuild, and make a judgment about the quality of that work. A compression check is the best way to evaluate the condition of the engine, including the rotor seals. Remove the leading plugs, keep the ignition wires away from the spark plug holes, make sure the battery is well charged, open the throttle, and crank the engine about 10 times while watching the gauge. Watch for two things during a compression check: the highest reading and the progression of the pulse readings during the latter part of the test. You’re looking for the way the needle moves as it approaches the highest reading. Ideally, it should smoothly indicate smaller and smaller increases in the reading until it reaches the peak reading. If you see a pulse that doesn’t increase followed by a pulse jumps substantially, this indicates unevenness in the compression pressure from one or two flanks of that rotor. In general, a reading of 115 psi or higher is good, 100 to 114 psi is okay, and 85 to 99 psi is poor but useable. Below 85 psi, the engine may be hard to start when hot. Also compare the peak readings of the two rotors. They should be within 5 to 8 psi of each other. While the plugs are out, inspect them for oil deposits; those suggest high oil consumption. Lastly, watch for signs of water O-ring failure. Overheating, bubbles in the water-recirculating tank, water overflow, or white smoke in the exhaust– especially at cold startup–are all bad signs. I cannot highly recommend the turbo-powered second-gen car. It performs pretty well but has proved a bit short on life. In addition, Mazda has started to discontinue some of the specialized turbo parts, so maintenance is more difficult. The rest of the car is good, but the turbo system is a weak area. Change the oil every 2000 miles with good-quality 10W30 oil. Only use synthetic oil if the car has already been using it. Otherwise, the synthetic may cause changes or leaks in the seals and remove helpful carbon deposits from the interior of the engine. Change the air filter every 2000 miles as well. I recommend switching to a K&N model, which is cleanable and results in less restriction, especially when dirty. Replace the spark plug wires at least every 30,000 miles and the plugs whenever they show signs of deposits. 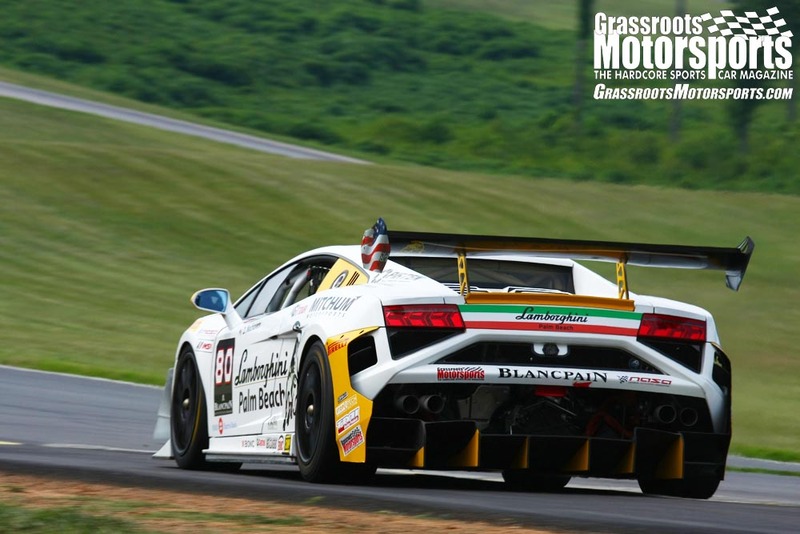 In truth, the stock brakes–even the four-piston calipers–aren’t up to serious road racing. The discs can’t get rid of the heat, but they are adequate for fun driving. Just this morning I saw a GTU sitting on Jack stands, outside a small office building. I can't say for sure, but it looked abandoned, definitely had seen better days. I still like the looks of these cars, 30 years after they hit showrooms, even if they look like a front-engined Porsche that has had it's styling "toned down". The first FCs also had a Sport model, that became the GTUs. I had an '86 (first year) Sport and unlike the base version it had the 5 lug wheels with the brakes from the Turbo, stock, an aluminum hood and very little in other options, where the GXL had a lot of fancy options that weighed the car down. My V8 RX7 started life as an '86 Sport, so it was quite light to begin with, and contributed to the fact that it ended up weight 2720lbs with the V8 (coming in less than the RX7 Turbo). People asked me why build/ruin the RX7. 1. because it died and I owned it. 2. because I loved the looks of the car, the ergonomics, looks, build quality, looks, suspension, looks, and brakes. 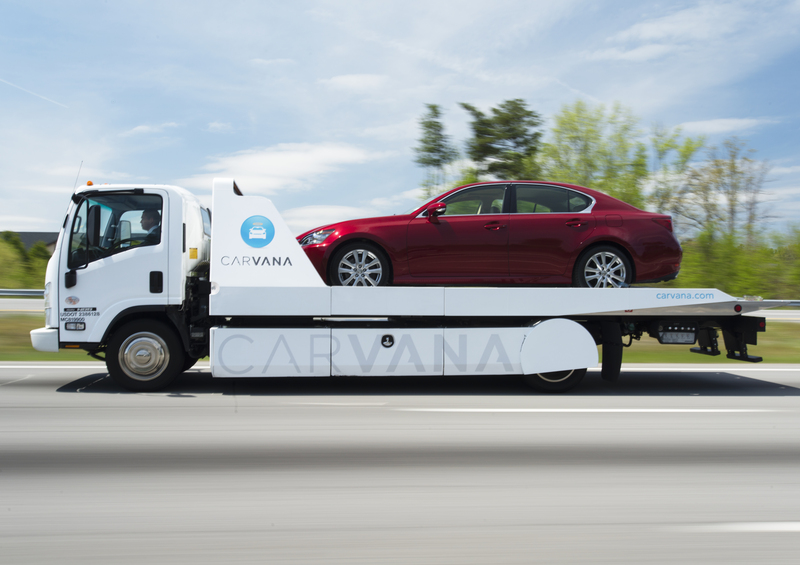 It's got an absolutely great chassis, and retained perfect balance. And incredible style. So what if it was the heavier RX7 in stock form? It's a lightweight in todays market. It's easy to reduce their weight. Mine weighs 2,200lbs wet with driver. You forgot to mention the GTUs as mentioned above and convertible, okay nobody cares about the convertible and 5-8 psi is pretty strict, the differential limit of chambers is 21 psi per the service manual. I think 13 or less is ideal. 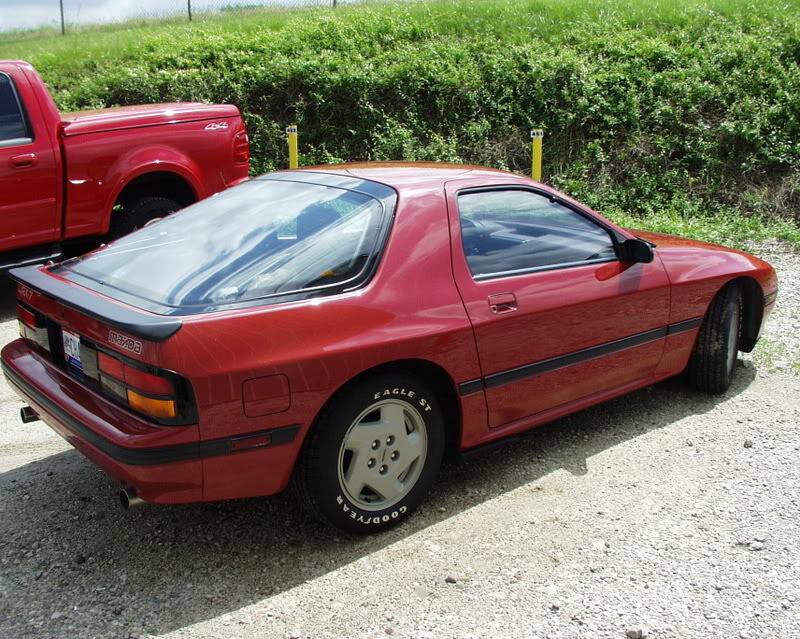 I had an 88 gxl for years .I beat on that car pretty hard , the beepbeepbeep of rev limit happened frequently .I averaged 25 mpg ,mixed driving with a fair amount of it country roads at ahem supra60mph .even my wife at the time liked it ,There were nearly no problems , I had a headlight motor pack it in at 145000 , I flooded it 2x in 8 years .The brakes worked fine but tended to like to seize every 50k when driven in winters ,which i did in the snowbelt for all the time I had it .The stock mufflers lasted until 156000 then I got 3 sets of free lifetime mufflers from napa, yep they lasted 8-9 months each lol. cheap steel , hot wankel exhaust not good. the adjustable shocks worked great ,though sport was pretty hard . I hauled all kinds of stuff , mine was a 2+2 tiny seat , but folded it held a bunch . I used a quart of oil every 1000-1500 miles as expected until the oil injector pump for the rotors seized open , at 160k no issue except more oil use . quick fix . body held up well , My bro in law borrowed it once while his cavalier was being fixed , he came back grinning saying holy Chit that thing is awesome lol. I had 3 kids by then and needed a bit more room but still fun I got a saab 900 turbo convertible and I sold it to a young guy who beat on it more than me ,he got it at 183k added 35k more until the tip seals went . All in all i say a fine piece of equipment with relatively low cost .I will buy another sometime in my codgerhood ,maybe an fd though to get the best ever made . Our neighbors down the street have an FC and an RX-8. Honestly, I have never seen either car move. Ever. 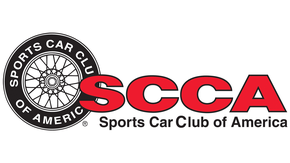 Raced the FC in SCCA improved touring s class for many years, great dependable car and very easy to work on. Always admired the Speedsource RX7 at the time which showed the road race capabilities of that little wankel. I was always intrigued by the length and size of the engine bay for a car with such a small motor. The spec panel says it has a "2-chamber" engine. That would be very difficult in an engine design which has three combustion chambers per rotor! It's a 2-rotor engine... and as usual the displacement shown is for only 2 of the 6 chambers. Sport or GTU or Turbo perfect candidates for an LS376 Transplant. 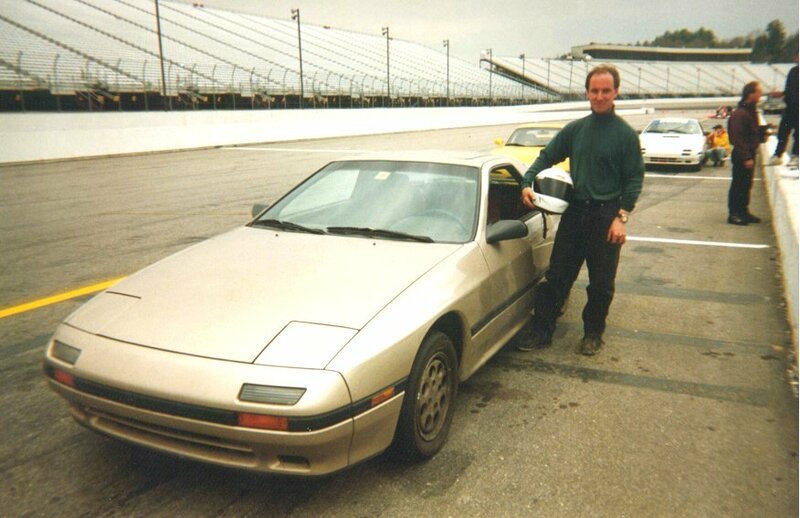 Back in the day me at NHIS for a test and tune day. I had hair then LOL. I would have enjoyed my FC a lot more if there was about three inches more headroom. The problem was mainly the stupid skylight which went on almost all versions except the GTUs. Dumbass stuff like that is hard for me to get over. I kept thinking "I know Japanese people are small, but I'm 5'-11" for crying out loud!" The stylists trumped the engineers. I still miss my FC-3C, even without a turbo engine that car was an absolute blast to drive, especially with the top down. My FC was a piece of crap- a loud, slow, completely indestructible, glorious piece of crap seemingly incapable of getting a DNF. I miss it. I like how some of the body panels look more like suggestions than body panels. =) Looks fun! Could old rotaries be the ultimate "slow car fast" scenario? Back before ubiquitous torque when we'd buy hot cams that required revs to extract the power. Wasn't necessarily fast, but there was a definite thrill to it. Being able to rev to the hills constantly without worrying about throwing a rod is one of the basic appeals of the RX cars. lrb of Florida '86 example on craigslist. Totally rando but wouldn't it be cool if GRM knew LRB. +1 on the '86 sport model. I had one. easy to work on with the Haynes manual (before youtube). No luxury items but a non functioning A/C. Manual windows, aluminum hood, 5 lug wheels, 4 POT calipers, LSD. Sold it to a co-workers kid when he turned 18 (and I remember when he was pushed around the neighborhood in a stroller by his mother). He rebuilt the motor and handed it down to his younger brothers. I think it is still running. Fond memories.